Hawaii meets New Jersey in Detroit. 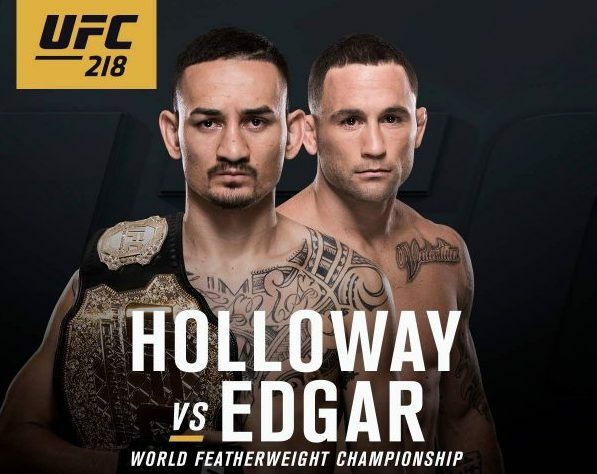 UFC featherweight champion Max Holloway (18-3 MMA, 14-2 UFC) will look to defend his unified title for the first time when he meets former lightweight champ Frankie Edgar at UFC 218. ESPN.com first reported the booking. MMAjunkie subsequently confirmed the plans with UFC officials. UFC 218 takes place Dec. 2 at Little Caesars Arena in Detroit. The night’s main card airs on pay-per-view, though an official bout order has yet to be revealed. Holloway is currently ranked No. 1 in the latest USA TODAY Sports/MMAjunkie MMA featherweight rankings, while Edgar sits at No. 3. Holloway enters the fight on an incredible 11-fight winning streak. Just 25, “Blessed” picked up an interim 145-pound title with a December win over Anthony Pettis and then added the undisputed belt with a thrilling third-round TKO over former champ Jose Aldo at UFC 212 in Brazil. Meanwhile, Edgar stands at an impressive 7-1 in his past eight appearances, with the only loss in that run coming to Aldo. “The Answer” has since rebounded with wins over Yair Rodriguez and Jeremy Stephens. The former lightweight champ now looks to join Randy Couture, B.J. Penn and Conor McGregor as the only men to hold titles in two different weight classes. 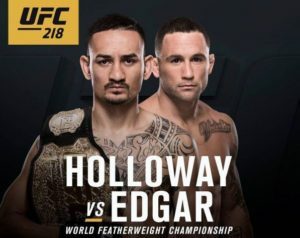 For more on UFC 218, check out the UFC Rumors section of the site.